I know we have blogged about The Organic Pharmacy’s nail varnish before but I was treated to a mini manicure last night at a little do to celebrate their 10 year birthday, and I love it. I am not one to paint my nails, not because I don’t like it – I love painted nails – just because I can’t seem to maintain them! Going back to my last post about women not giving up their lipstick, I think nail varnish is very similar. You can update, change or dress up an outfit simply by painting some colour onto your nails. 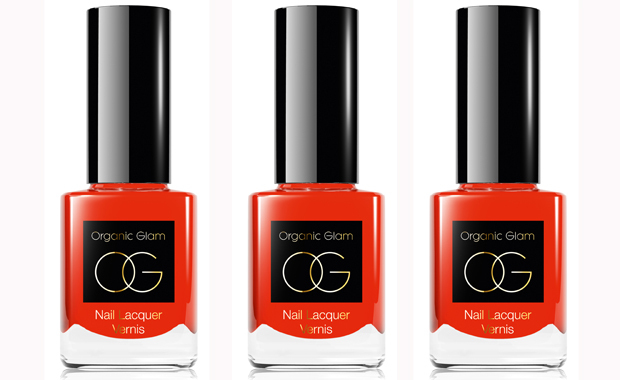 I am currently sporting the Coral shade from The Organic Pharmacy which is perfect for this season’s favourite hue, they also do a Tangerine which is slightly more orange. I have some of them in my kit and am always impressed by their ease of application and quick drying. Let’s see how long I can keep them looking nice……. Previous Post THE LAB: The Body Toxic – Another Interesting Read……..
Nail update – they are only just starting to chip on the fourth day which is pretty good for me!